Automotive Spotlight: Big Oak Citgo - Times Publishing Newspapers, Inc.
Their expert technicians rely on a combination of the latest technology and old-fashioned service to keep their customers safe, comfortable, and on the road. Tom and Jane Cooper started the business in 1994, cultivating personal relationships with friends and neighbors, and resulting in generations of customers relying on Big Oak for all of their vehicles’ needs. This trust relationship is of great value to them and the Big Oak Citgo team endeavors to protect it at all cost – providing their customers with steadfast guidance, knowledgeable research, and accommodating service. 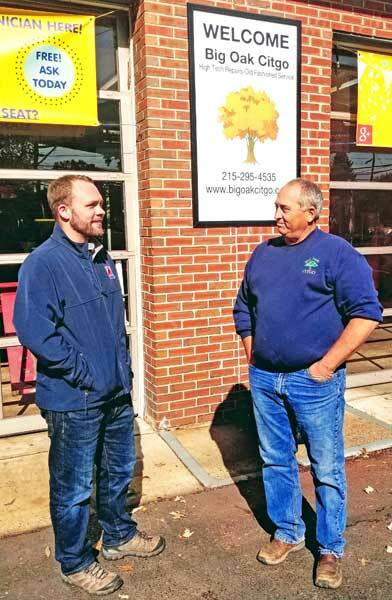 Their customers’ unwavering confidence and loyalty has enabled Big Oak to employ local technicians and apprentices for decades, and allows them to support community organizations, non-profits, and neighborhood schools in the process. As Big Oak enters its 25th year in business, they look to the future in every aspect. The advancing technology of automotive repair remains at the forefront in the shop, and their technicians pursue continuing education to maintain proficiency as new technology develops. They look to innovative ways to make their customers’ lives easier, such as online appointment scheduling, text communications, and reminders about services due. For a personalized approach to your vehicle’s needs, call or visit www.bigoakcitgo.com. Their family looks forward to seeing you soon.